If you’re looking to become more toned, muscle workouts are the way to go. The body naturally has a certain amount of fat and a certain amount of muscle. 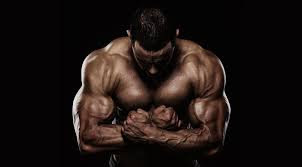 When becoming more toned, it is imperative to build your muscle because muscle not only burns fat, but it speeds up your metabolism so you are actually burning fat throughout the day if you have a lot of muscle. The way to build muscle is to constantly put pressure on a specific muscle group. It is typical to do between 2-3 repetitions of 15-20 times exercising a muscle. Target muscle groups are usually big muscle groups that can burn the most fat. These target muscle groups are the back, the legs, the chest and the abs. Once you start working out a muscle group, it is ideal to work a muscle until it is sore. Once you feel the muscle getting sore, you should be about halfway done exercising the muscle. The following day, you will feel the muscles soreness. This is because a lot of pressure has been placed on the muscle and it is not used to putting that much work into maintaining your body. This is a good sign, this means that your muscle has adapted to your environment and is ready for the workout again.